Imagine a device that could fit in the palm of your hand that allowed you to stream content, play light games, and check your social media or email on any HDMI television. That would be pretty convenient, wouldn’t it? Welcome to the new Intel®-based compute stick. From living rooms to hotel rooms, big screen HDTVs are practically everywhere. But what if your television could do more? With a new compute stick—featuring an Intel® processor, built-in Windows 10 OS, on-board storage, Wi-Fi, and Bluetooth, you can stream content, access rich media, play light games, and even check your favorite social media sites on the biggest screen in the house. Picture richer experiences and limitless entertainment options as an extension of your regular TV, which also lets you stay connected to the rest of the world. Given its size, you can also take your personal content with you and safely store your personal files locally with built-in storage and a Micro SD slot so always-on Internet is not required to enjoy your content. “I like to say a Compute stick gives your TV a college degree and your smart TV a PhD. As long as it has a website, you can access almost anything, anywhere,” Lauwaert adds. The compute stick lets you access the full universe of streaming entertainment services that you can watch on any web browser. Fans of Netflix or YouTube can live stream movies, music, or video. That’s pretty useful if you’re on the road and need to catch up on the latest zombie apocalypse drama or have free time at home to binge watch an entire season. For light gamers, the compute stick connects easily to the Windows Store, which boasts a pretty exhaustive library of Windows 10 titles such as Minecraft: Windows 10 Edition Beta, Age of Empires: Castle Siege and Angry Birds. More and more titles are added to the store every day, so now, consumers can enjoy light gaming in any room of the house and rack up those Xbox Achievements along the way. 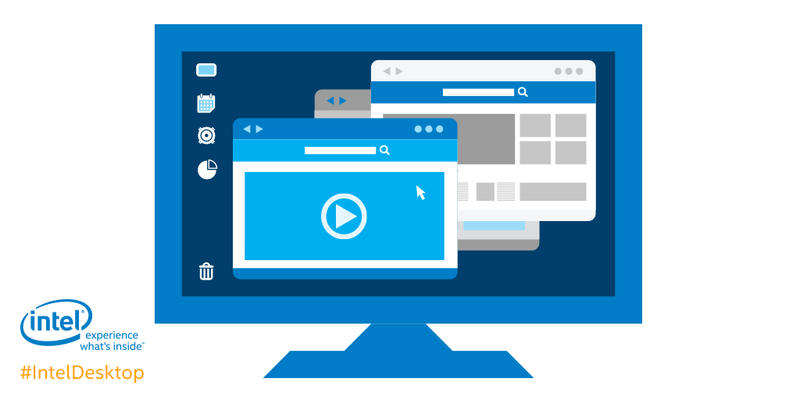 Stream content, check email, browse the web, and stay connected on social media—all at the same time and on the same huge HDTV screen. 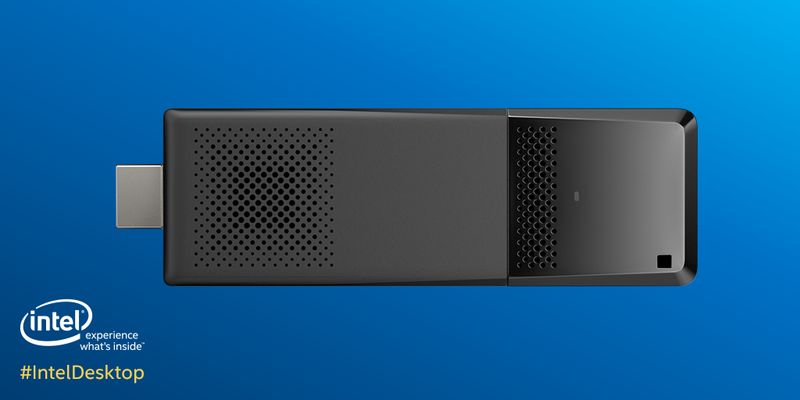 The Intel®-based compute stick with Windows 10 includes a feature to split your TV screen or monitor so you can multitask to your heart’s content. 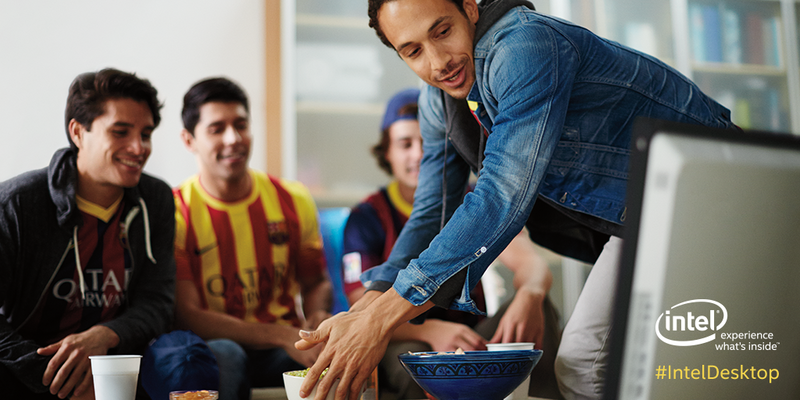 If you’re ready to get more out of your HDTV, download this handy Flash Card to learn more.